User Generated Content (UGC) like Visual Commerce, Questions and Answers, and Ratings and Reviews is definitely one of the most prioritized tactics in the current scheme of modern marketers. It is becoming more and more unavoidable due to the dazzling maze of social media and mobile phones. No wonder, many companies are putting their best foot forward to absolutely get it right. We have witnessed some great user generated content examples by the arty and crafty mix of authentic and persuasive content. We will take a look at some of the most shining and effective user generated content examples. The problem with studio images is they sometimes fail to show detail or look too glossy. Customers fail to fit those images in the context of real life use. But another truth is that for fashion, studio product pictures are great for showing the 360-degree effect of a garment. There’s a need to find a golden balance in this situation. And Francesca’s found a perfect solution in one of our more simplistic yet effective user generated content examples — it just surrounded its product images with pictures from Instagram. 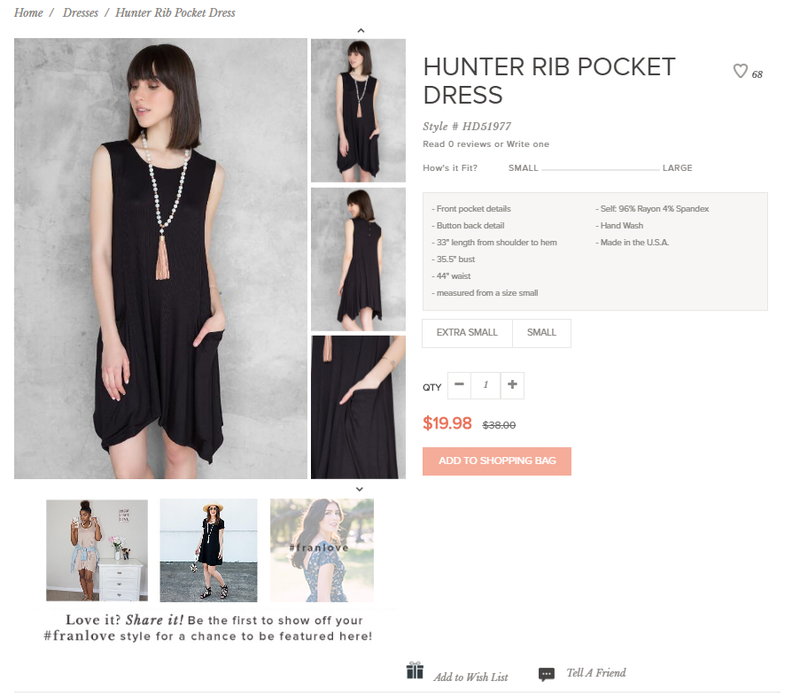 By using visual commerce on its product pages, Francesca’s added another dimension to its marketing. J.Jill, women’s apparel, footwear, and accessories store, is known for its strong commitment to social causes. It continued with this thread of warmth and humanity in one of its user generated content examples. It asked the audience to share how they connect with loved ones through posting images on social media with #JJillCompassion. All these images then curated in a gallery. What made it a complete campaign was the touch of gratification. Each participant had a chance to win gift cards and a linen tote. Cleverness always works. 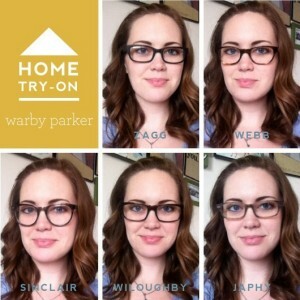 Warby Parker, a popular brand of prescription eyeglasses and sunglasses, thought the same when they came up with the idea of assimilating user-generated content into the purchasing process when it introduced its Home Try-On service. After availing this free service, five pairs of eyeglasses used to ship to a person’s home to try on for five days. The recipient of the delivery was encouraged to take pictures of himself with the different glasses on and share it to their social accounts with the hashtag #WarbyHomeTryOn. This approach simply worked for both the parties. Customers were able to accumulate countless feedback about their look. They were in a position to select one based on which look got more likes on the social media. The brand got more exposure as well as free advertisement of its products…and of course, a potential customer that is that much closer to purchasing. In one of our more elaborate user generated content examples, Lay’s “Do Us A Flavor” campaign invited customers to come up with their own flavors and then allowed fans to vote on their favorites. It became a talk of the town mainly because of the gigantic prize money. It was one million dollars for the winning flavor idea. 3.8 million submissions don’t look a miracle when the prize money was more than staggering! 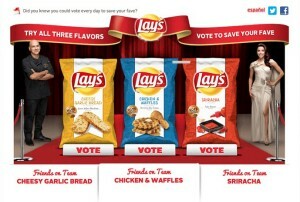 To further boost the customer participation, Lay’s asked its customers/audiences to vote for the best when it came down to three entries. Of course, the hefty prize money was the hallmark of this campaign, but there are few learning curves too. Lay’s allowed its customers to be as creative as possible. It was a total freedom. From the beginning, Lay’s was able to keep it interesting and asking for votes was like icing on the cake. This type of engagement on product development also seemed to be very successful at keeping customers excited and feeling like their opinions matter. It really spread like fire on social media. 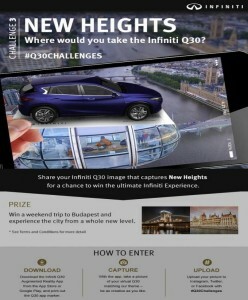 With its “New Heights” contest to promote its Q30 model, the luxury car company Infiniti created one of our more involved user generated content example. It developed its Infiniti Q30 Augmented Reality app and asked its customers to download that app and print out the Q30 app maker. Then participants had to a click a photo of the 3D Q30 in imaginative situations, and upload their images to Instagram, Twitter, or Facebook, with the hashtag #Q30Challenges. But all these efforts were worthy. The prize included an all-inclusive trip to Budapest for two lucky winners. The whole idea of the contest was interesting. But what was noticeable in it was the extra work that participants had to do. It may work sometimes, as it automatically filters out less dedicated people. This generally ensures the accumulation of high-quality UGC. Of course, there are many other great user generated content examples where great justice is done to its potential. And each and every example has something which you can inculcate in your UGC campaigns and contents. But one common thing among all the aforementioned examples is the ability of the campaign or the contest to turn your customer into an advocate and devoted marketer of your brand. And the ultimate goal of any marketing campaign is to create as many brand advocates as possible. If implemented cleverly, there is hardly anything as powerful as UGC to achieve that goal of creating brand advocates! For more information about shoppable content, check out our indispensable guide to Visual Commerce, our handbook to Visual Commerce for the fashion industry, and this post on the value of shoppable Instagram content!